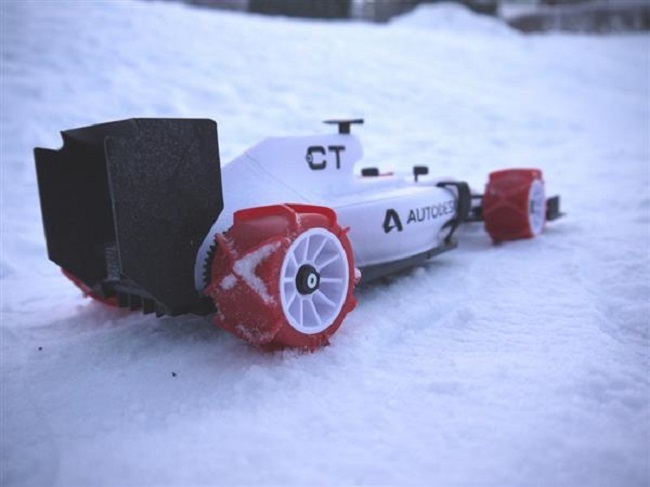 Daniel Norée, founder of the Open RC 3D printed vehicle project, is taking on snow and ice with a new mechanism that would allow his 3D printed models to function even on snowy or icy conditions. Winter is at hand and Daniel didn’t want to wait for the cold and harsh season to pass before he can play with his 3D printed vehicles. 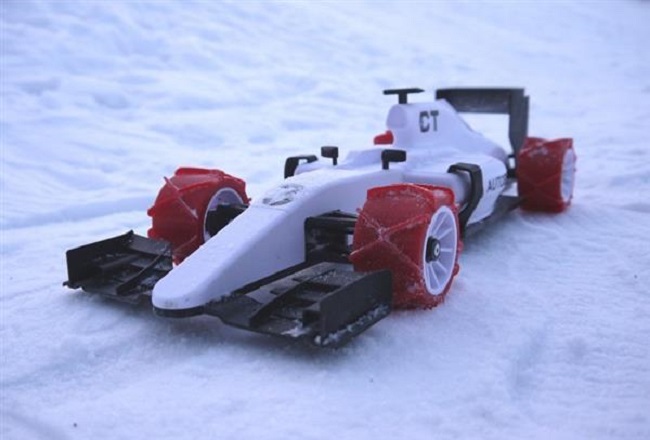 He went to Thomas Palm, a 3D designer from Palmiga Innovations to design 3D printed snow tires for his RC unit. With the snow tires, Daniel would be able to take his vehicles through white-capped roads and tracks. Thomas got on board and was able to produce the design for the tires that were needed for the vehicles. He has even released the files for the 3D printed tires for everyone to get. Snow is never a friend to cars and their drivers. It presents all manner of hazards, including the risk of skidding off the road because of the slippery and the unwieldy nature of it all. Snow chains are the solution to such a problem. These add-ons are quite efficient in providing more traction for the car’s tires. In fact, Max Verstappen, a Formula One driver, once drove a Red Bull RB7 through one of the most dangerous and unpredictable downhill ski runs. Daniel was inspired by that daring act and he was inspired by the ingenious way traction was improved on tires when tire chains were installed. With the help of Thomas, he would make his Open RC models streak through snow with ease. Thomas has worked with Daniel on many occasions and has assisted in making and improving his 3D cars. 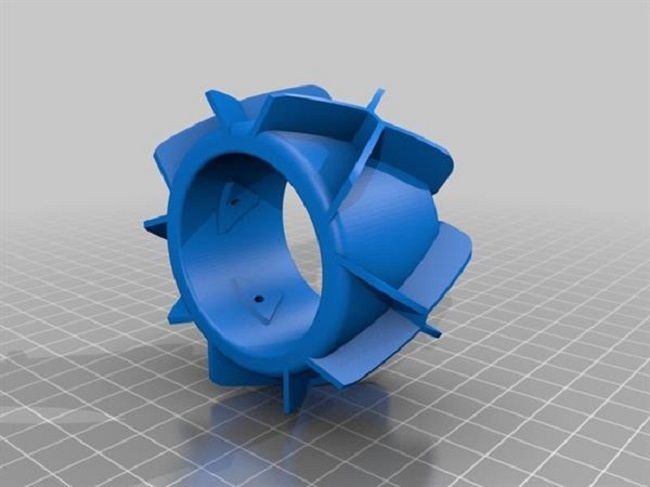 These include the designing and printing of many variations of tires and wheels that could be customized to be used by many kinds of RC vehicles, and 3D printed wheels that need not be screwed into the vehicle itself. Thomas designed the 3D printed Formula One winter tires with a clearly visible crisscross pattern which is available in a variety of thickness. The winter tires would cover the outer area of the wheel. Mimicking snow chains, the pattern would provide the vehicle the traction that it needs to be able to handle the slippery nature of the snowy tracks. Thomas was able to make a lot of tires for RC vehicles. He used a single layer thickness of 0.2mm to make the bumps or indentations found on the tire. They would provide better grip on the topography. He used the ETPU 95-250 printing filament, which is like rubber in texture. The design also allows for easy installation as it snaps on the tire frame very easily. The snow tires can be placed on many other RC vehicle tires. Think of it as a convenient show shoe that would allow the vehicle to stay safe and effective throughout the race. With the inclusion of the snow tires, Daniel could now have fun with his RC cars, even when his tracks are blanketed with snow.